Ioanna Zergioti is an Associate Professor at the Physics Department of the School of Applied Mathematics and Physical Sciences. She has a strong track record in the field of laser printing for the development of sensors and organic electronic devices. Chrysoula Chandrinou received her Chemistry degree from Queen Mary (University of London), UK in 1998. In 1999, she was awarded an MSc in Physical Chemistry with the title “Studies of Homogeneous and Heterogeneous Reactions of Diborane” from the same university. Her PhD entitled “MBE Growth of GaAs and InAs on GaAs(001) Patterned Substrates” was received in 2004 from Imperial College, London. In May 2010 she has been awarded with the designation Chartered Chemist from Royal Society of Chemistry. Her research activities are focused in the area of semiconducting nanomaterials (growth, characterization) and their applications (sensors, biosensors, solar cells etc). 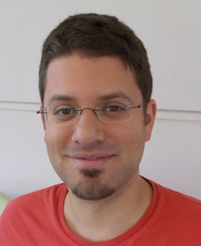 Filimon Zacharatos is currently a postdoctoral researcher in the physics department of NTUA, working within the framework of the EC funded project “LaserMicroFab”. He received the Physics diploma from Patras University in 2003 and the Ph.D. degree, specializing in nanotechnology, from the Physics department of National Technical University of Athens (NTUA) in 2009. Until 2009 he has been working at the Institute of Microelectronics, of the National Center for Scientific Research “Demokritos” in Athens, as a Ph.D. student, investigating nanostructured materials for applications in Microelectronics and RF systems. 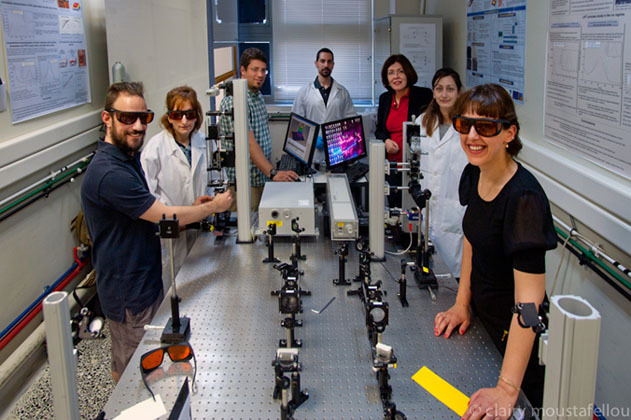 Between 2011 and 2013 he worked in the fabrication of plasmonic structures and their characterization with cw and pulsed lasers for telecom applications, as a postdoctoral fellow in the sub-micron optics group of ICB, University of Burgundy. His current research is focused on Laser micro-printing of devices and structures and Laser micro-curing of metals. He is the author or the co-author of 10 publications in international journals, of 1 book chapter and co-inventor of 2 patents. Simos Papazoglou is currently a PhD Student at the Physics Department at the National Technical University of Athens, Greece. He received his diploma in Material Science from the University of Patras in 2010, and his Master degree on Microsystems and Nanodevices at the National Technical University of Athens in 2012. The focus of his research is on the synthesis, characterization and printing of organic materials such as Carbon Nanotubes and Graphene and their interaction with lasers regarding morphological, thermal and electrical properties. Marina Makrygianni received her PhD entitled "Fabrication of hybrid (organic / inorganic) transistors with a laser direct-write technique", from the School of Electrical and Computer Engineering at the National Technical University of Athens, Greece. She received her diploma in School of Applied Mathematical and Physical Science, Physics Department from the National Technical University of Athens in 2008, and her Master degree on Microsystems and Nanodevices at the National Technical University of Athens in 2010. She has been involved in a project funded by the EU as a junior researcher. The focus of her research is on the laser printing of organic electronics (i.e. : Organic Thin Film Transistors) and on the characterization of the printed devices. Ioannis Theodorakos is currently a junior researcher at the Physics Department at the National Technical University of Athens, Greece. He received his diploma in School of Applied Mathematical and Physical Science, Physics Department from the National Technical University of Athens in 2010, and his Master degree on Microsystems and Nanodevices at the National Technical University of Athens in 2012. The focus of his research is on the laser treatment of inorganic materials for solar cells and electronics applications (i.e. : laser annealing of amorphous silicon, Laser sintering of silver inks) and on the characterization (optical, structural and electrical) of the treated materials. 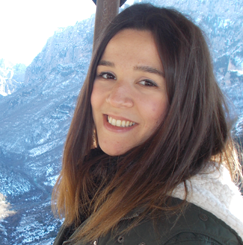 Christina Kryou is currently a Master Student on " Microsystems and Nanodevices" at the Physics Department at the National Technical University of Athens. She received her diploma in Physics, at the University of Crete in 2013. 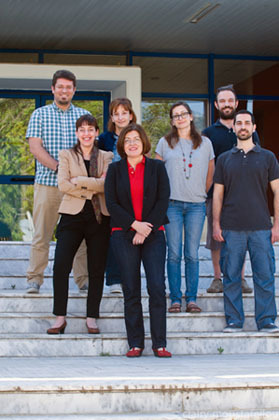 Marianneza Chatzipetrou finished her PhD Student at the Physics Department at the National Technical University of Athens, Greece. 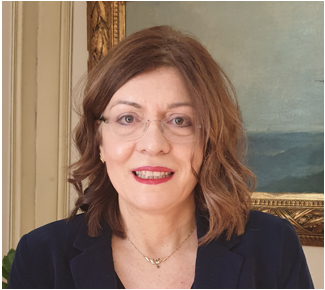 She received her diploma in Physics, at the University of Patras in 2009 and her Master degree on Microsystems and Nanodevices at the National Technical University of Athens in 2011. 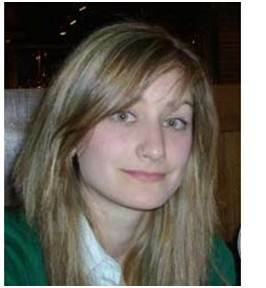 She has been involved in a project funded by the EU as a junior researcher. The focus of her research is on the laser printing of biomaterials, for sensor applications.